Dr James Du Canto ( Wisconsin, USA) and Dr Yen Chow ( Ontario, Canada) have been collaborating via FOAMEd ( Twitter and email and Google +) in the last 2-3 weeks on the concept of modifying the Kiwi and Pistol Grips. What they have come up with is called the D Grip. Now Yen also recorded a demo video of the D Grip so here it is! Try it out on a mannikin first. I think you will like it! Thanks for posting and recording this Minh and Jim. Sorry that I missed out on the chat! What I love about this is that you are independent especially if you have limited assistance in PHARM or rural settings. It is also very sleek and fast. The d-grip with murphy eye lock on the bougie end allows it to be shaped and kept on a dumpkit/table and easily picked up with the syringe in one hand (think “91” on the setup and the syringe points up like a rocket). 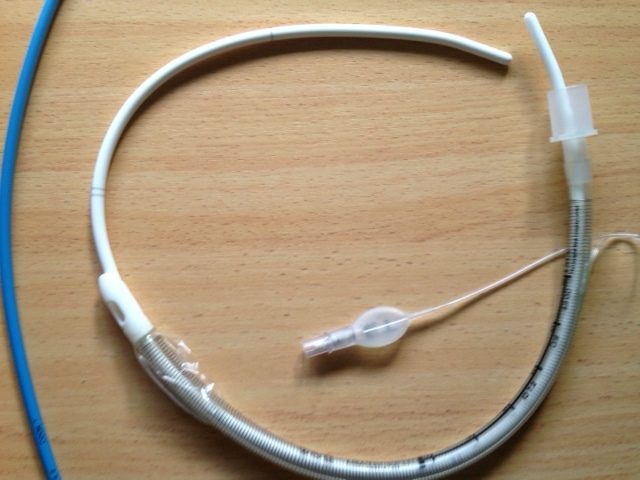 You can easily and efficiently pick up the yankauer and suction, replace it, and move to ELM and bougie intubation followed by unlocking the bougie proximal tip from the murphy eye and then railroading and inflating the cuff. All with the one hand, no assistant. Jim also mentioned you can also use your right hand to do other things too during laryngoscopy like apply distracting forces on the right upper eye teeth behind the canines for better laryngeal exposure. This is not something I have done before but will try it in the sim lab. I am also itching to try paleo too. I also worried about damage to the murphy’s eye but it does not seem to cause a problem if one is careful about disengaging it. Locking the ETT/bougie on the laryngoscope-holding-hand’s thumb allows you to pull the bougie end tip out of the murphy’s eye very easily. I am uploading a vid to vimeo that will detail that (using my homemade intubation model of a wine glass and an upside down remote control device). Other issues is holding the ETT, a lubed tip/balloon and contaminating the tip of the bougie when grabbing for the ELM or suction … if you are careful how you hold it, the tip can be kept free in the air. 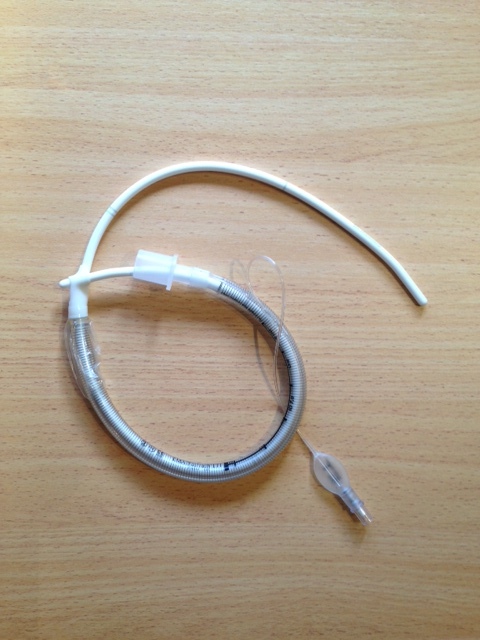 The ETT can also be held proximal to the cuff to avoid lube goobing up your fingers making things slippery (when pulling the bougie tip out of the murphy’s eye however is best by putting your fingers down to ETT tip). 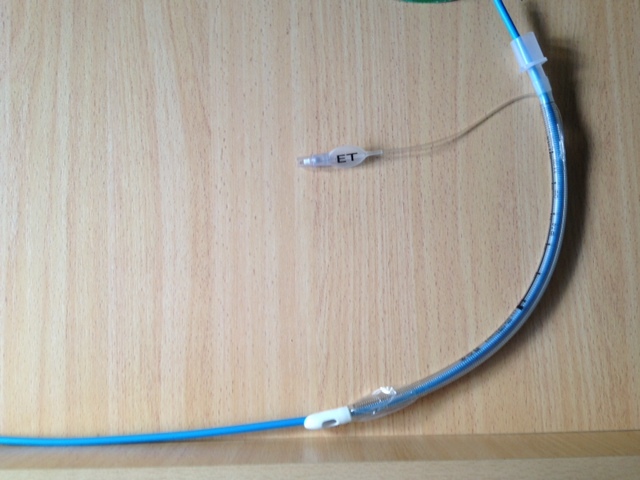 As for sterility of the ETT tip, sterile gloves solves that issue but securing airway first is key of course. I’ll be doing more tests in the sim lab and upload vids. Love for others to try it, test it, upload vids of it and share their experiences. Thanks a million to Jim for the inspiration! The collaboration on developing this idea has been amazing between all of #FOAMed #SoMe: Tim Leeuwenburg saw my sim demo and suggested Kiwi grip. I did another vid on it and Jim saw it and played with it. He shared with me and then Jim, Minh and I chatted it up and examined it over 1-2 days and here we are now! I quite like this! Great idea Jim and Yen. 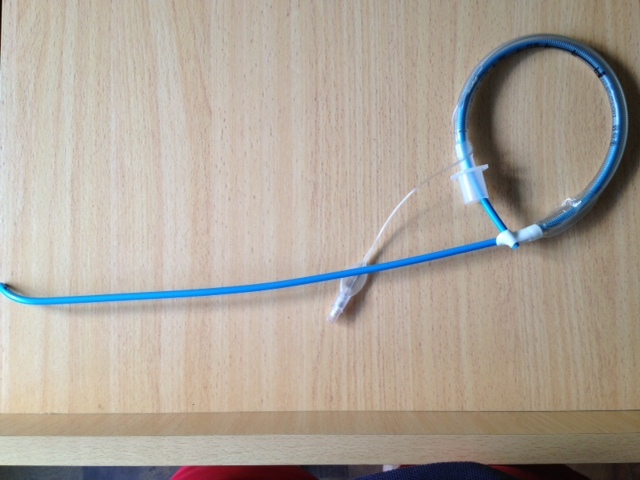 Jim, looking forward to seeing you at the airway course in a couple of weeks.